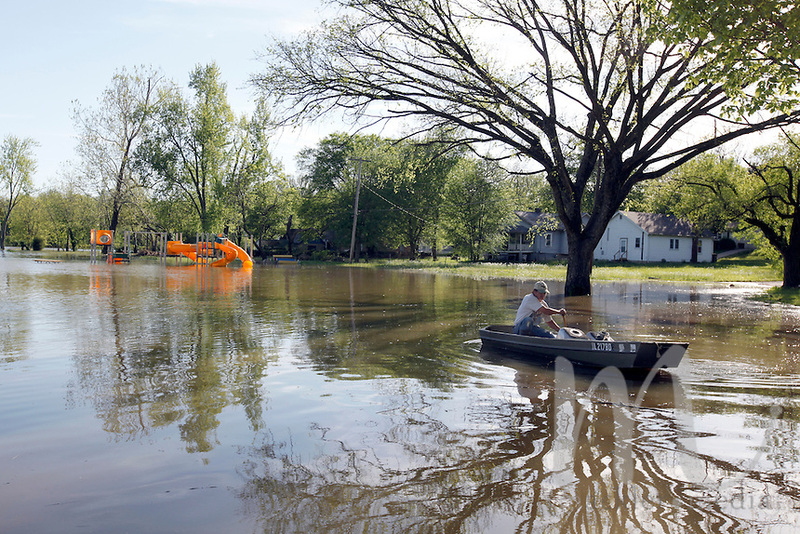 Bill Sandquist paddles past his home in the Red Star District of Cape Girardeau, MO, on Friday, April 29, 2011. A mountain of sandbags and barriers are all that protects the four-year home of Bill and Laura Sandquist. Floodwaters have engulfed the Red Star District of Cape Girardeau in which they live, with the majority of the water rising Wednesday afternoon and Thursday morning, according to Bill Sandquist.